A perfect place to call HOME!! This well maintained neighborhood in Penn Beach is where you want to live! NO FLOOD INSURANCE NEEDED HERE! 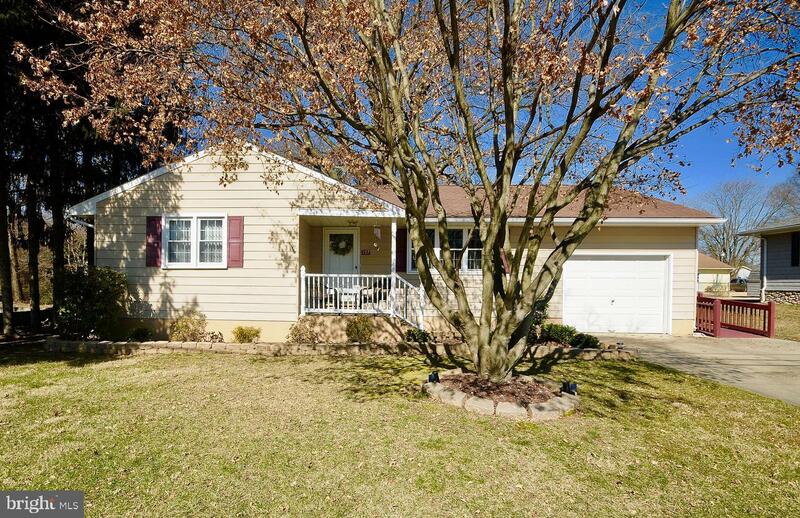 Check out this freshly painted 3 bedroom / 1 bath rancher with an attached garage! Living room, hallways and bedrooms feature hardwood floors for easy maintenance! The wood burning stove will heat the entire home and keep energy costs low! Eat-in kitchen is roomy with updated oak cabinets, a double sink and also includes the gas range, refrigerator and dishwasher. Large utility room with washer and dryer included! Fenced yard to protect your babies and fur babies! Take some time to relax on the front porch or the nice sized deck on rear of home is a great place to relax with friends, or sit in the yard near the fire pit and tell your best stories! Shed is included and perfect for any overflow of items. Windows have all been replaced with the exception of 3 in the rear of the home. Gas heater, central air conditioning and hot water heater are appox. 1.5 years old!